For all that can go on in a single fight, it's remarkable how much mileage you can get out of using only three or four buttons. It's a contrast to other fast paced action games that assign gameplay commands to every available button on a controller. This might make Revengeance appear shallow by comparison, but that's hardly the case. It is impossible to button mash your way to the end of the first chapter, let alone the end of Revengeance. 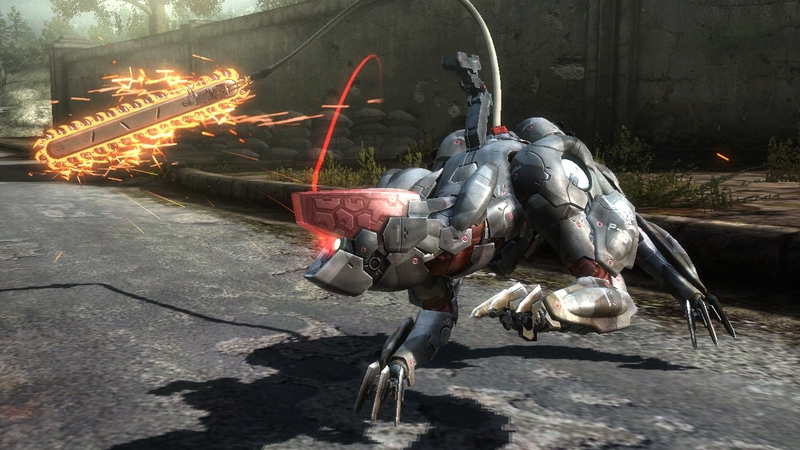 Revengeance is quick to punish you if you don't know the mechanics, particularly blocking. The tutorial is presented in the classic, yet clinical Metal Gear VR simulator. It is not especially entertaining but you'll appreciate its conciseness. 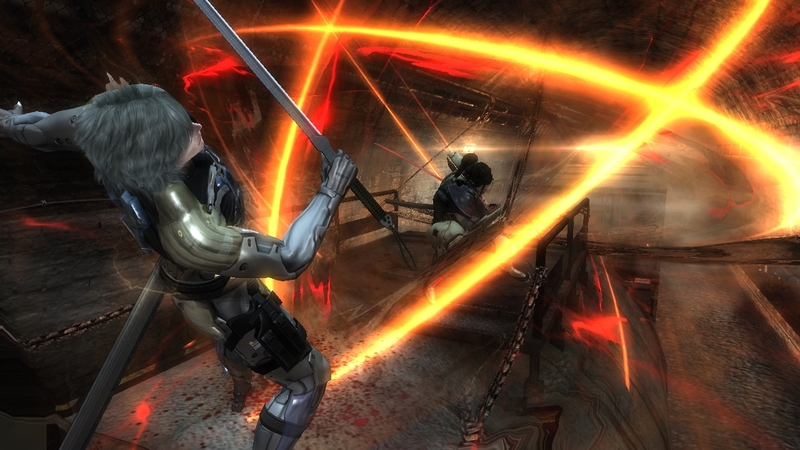 Outside of Raiden's grandiose finishing moves, blocking comes a close second as one of the most satisfying aspects of the game. It's an instant reward for staying on your toes. Whether you're taking on regular infantry or bosses, blocking makes you feel well rounded enough to take on any challenge in Revengance, however demanding they might be. 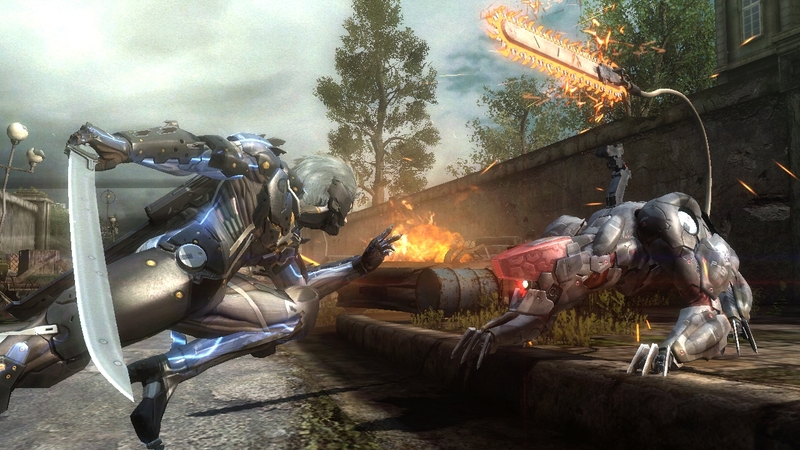 There are numerous non-melee sequences that showcase Raiden in many death-defying events, which help break up the traditional game flow. 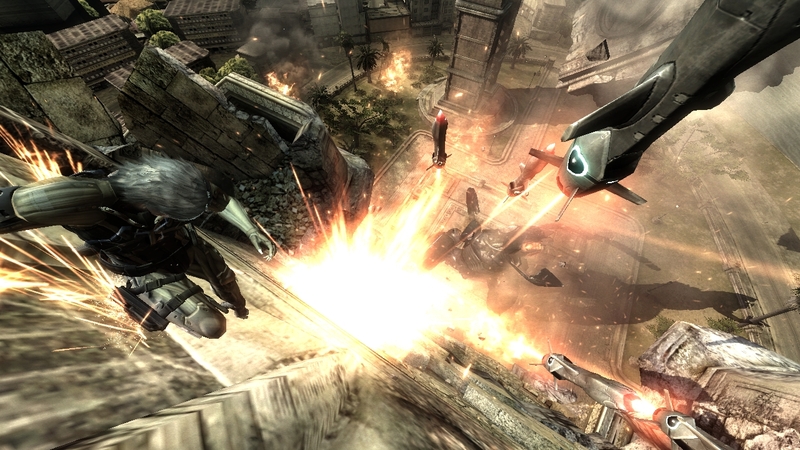 These include intensive platforming and chase sequences. It's too bad that surviving many of these brief camera changes requires one or two retries to understand what's going on. Failing at these overly dramatic sections even once reduces the sense of accomplishment and it doesn't help there's so many quick time events, since all you have to do is memorize button sequences. 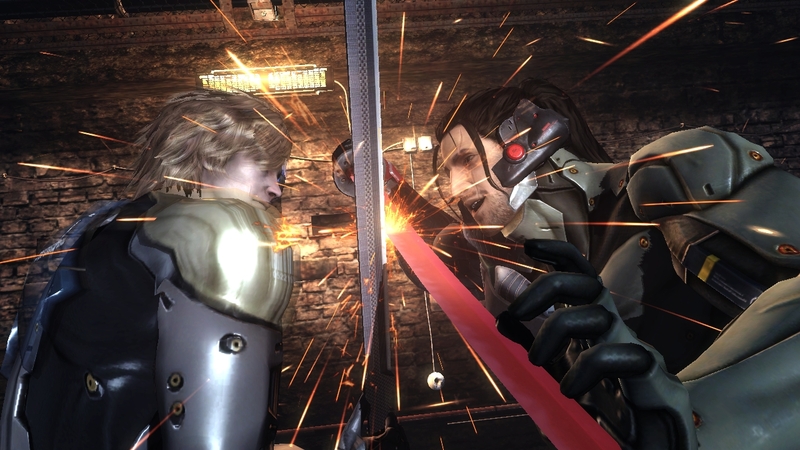 Revengeance retains Platinum's penchant for itemizing and rating your performance, grading you harshly whenever you're less than perfect and Revengeance definitely motivates you to replay for better ratings. That's partly because subsequent replays still provide a challenge. You might be more familiar with bosses' attacks and the cues that precede them, but you still need the dexterity and presence of mind to keep up with the foes' ever-changing move repertoires. 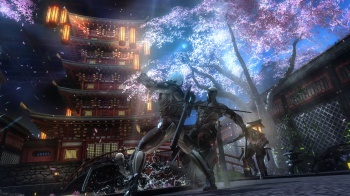 This means repeated playthroughs can be addicting and it makes up for the campaign's initial five to six hour playtime. 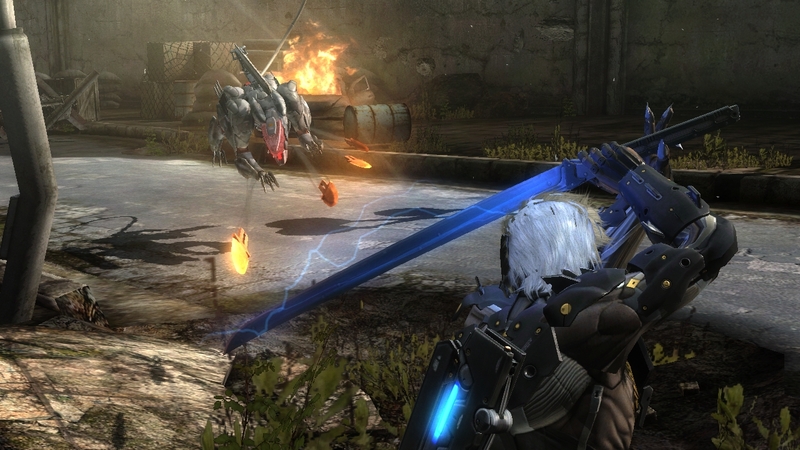 With Metal Gear Rising: Revengeance, Kojima Productions and Platinum Games have retooled Raiden into a capable character who is finally justified in having his own game. 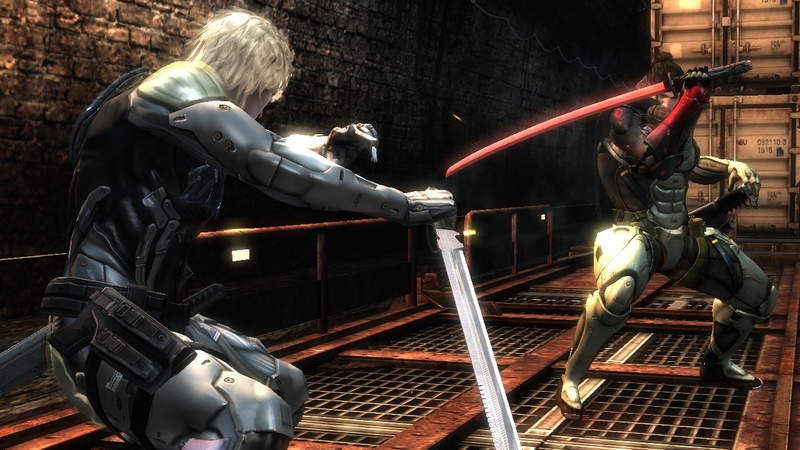 By taking him out of covert missions, Raiden's able to wield his sword of justice and use his martial arts skills out in the open. This is more fitting to him than sneaking around in a cardboard box, which is possible in this game in case you want to pretend you're still Solid Snake, even just for a minute. 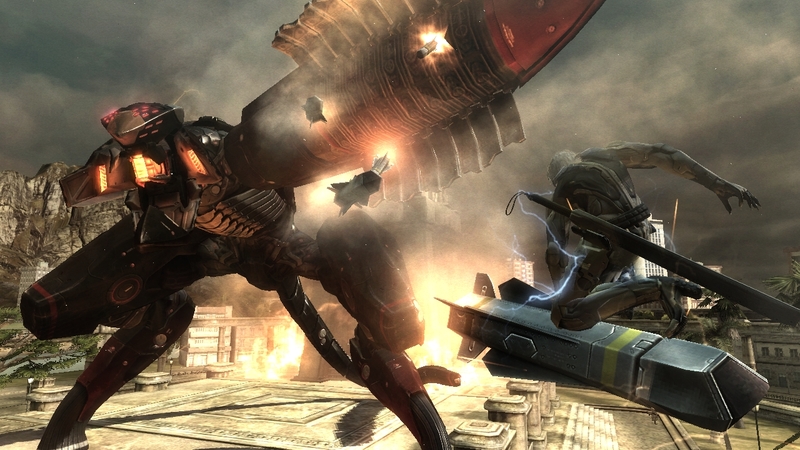 Bottom Line: Metal Gear Rising: Revengeance is a reminder that not everything in the Metal Gear universe has to move at a snake's pace. While there are more rewarding stylized action games out there, there's just enough depth in Revengeance to make it a worthwhile purchase, especially for those who follow Platinum Games. 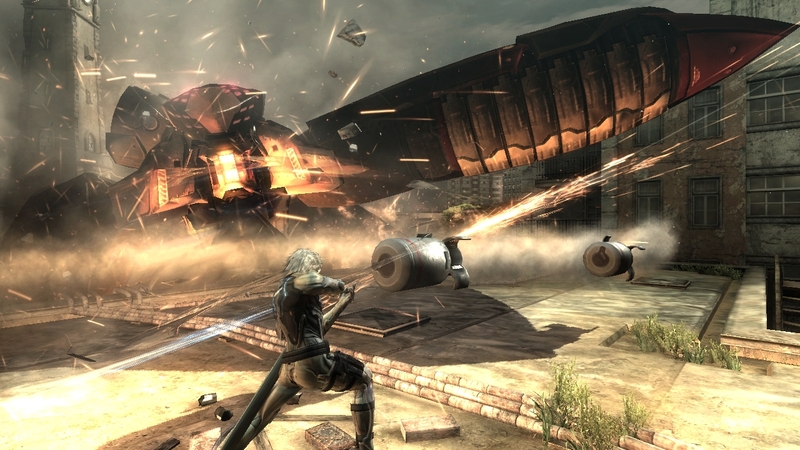 Recommendation: If you're a Metal Gear fan who doesn't mind a canonical installment without Solid Snake, or if you're a Platinum Games fan who wants a shallower version of Bayonetta, Metal Gear Rising: Revengeance is worth checking out.